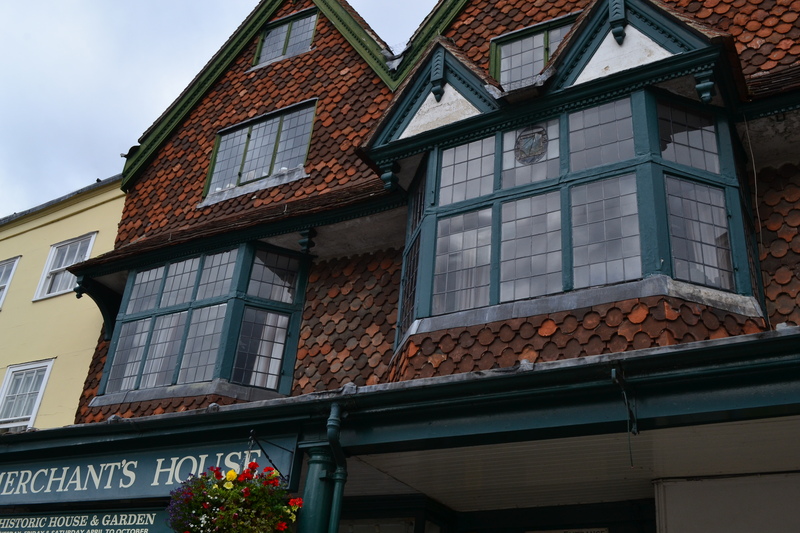 After our stay at the Stonehenge campsite last Autumn, Gavin and I made our way to Marlborough, which is a lovely town in Wiltshire, England. 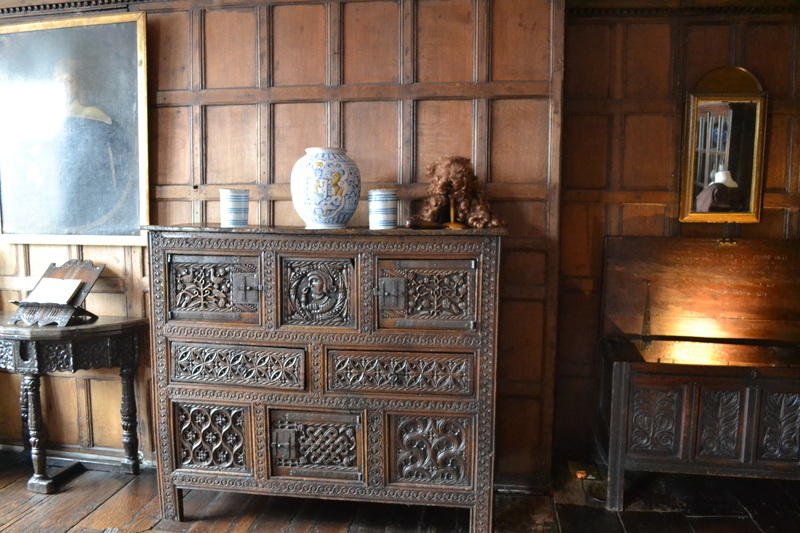 This amazing house was built for and lived in by a wealthy seventeenth-century silk merchant named Thomas Bayly. 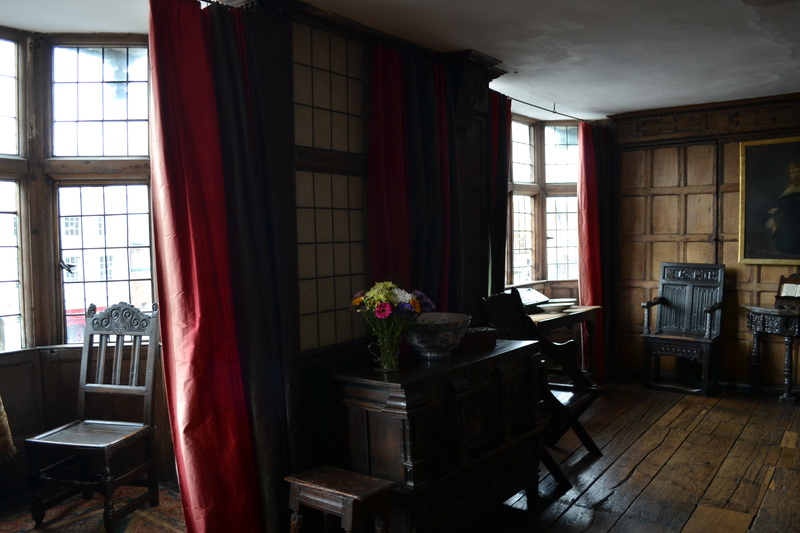 The construction is believed to date from between 1653 and 1700, and the interiors have been furnished in keeping with the styles of 1680s. 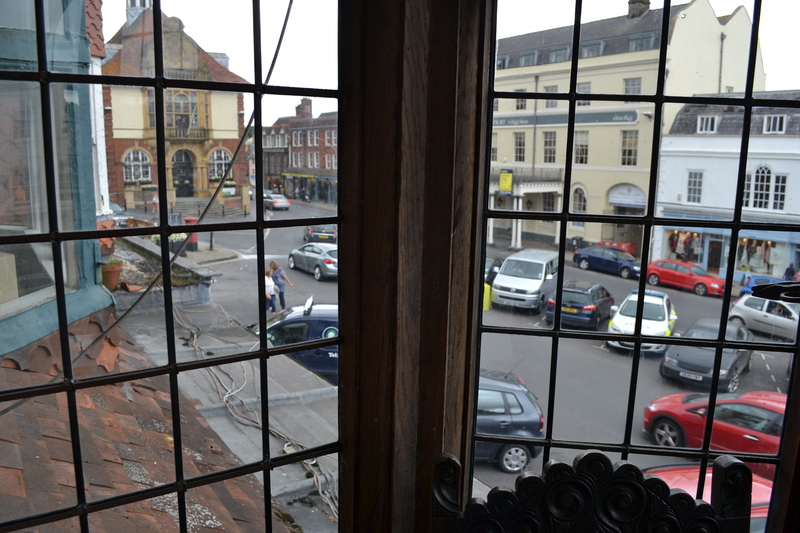 Marlborough had a terrible fire in 1653, and this destroyed the town centre. 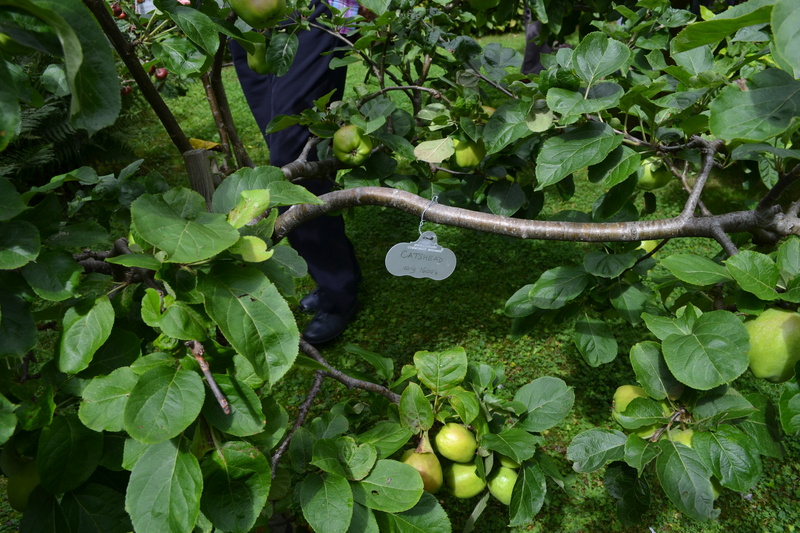 But by the next year, Marlborough was pretty much a new town. During this visit, I was fortunate to be in a small group led by the Treasurer of The Merchant’s House, Mr Cohen. 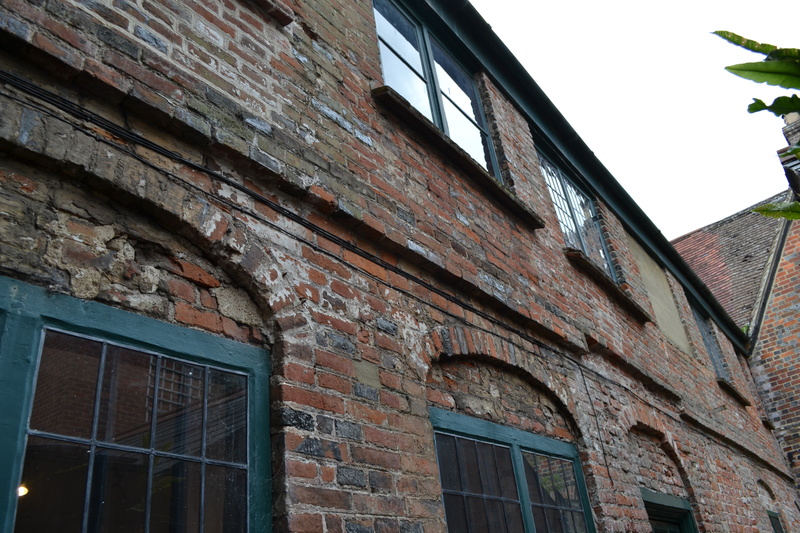 His enthusiasm for the history and the property was very evident, and it’s always a pleasure to look around a historic site with someone who genuinely cares about it. 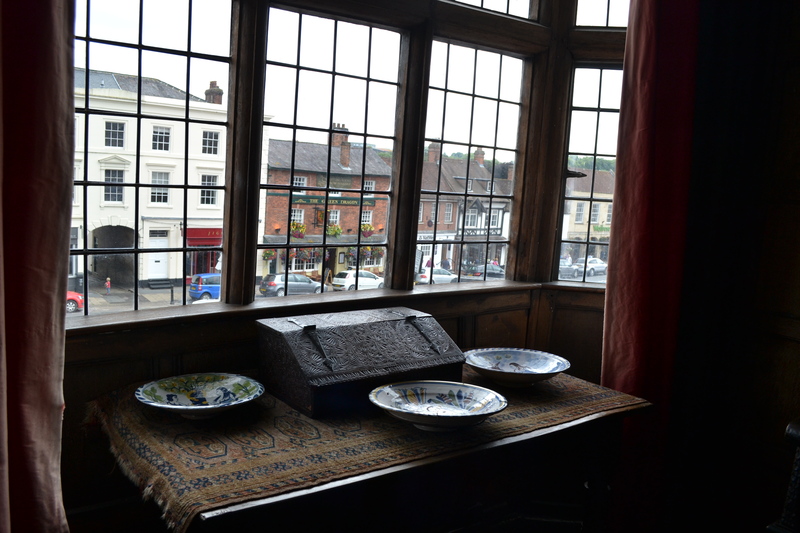 Most of the furniture and objects that you see will be authentic seventeenth-century items, and I’m sure you’ll enjoy looking at them. 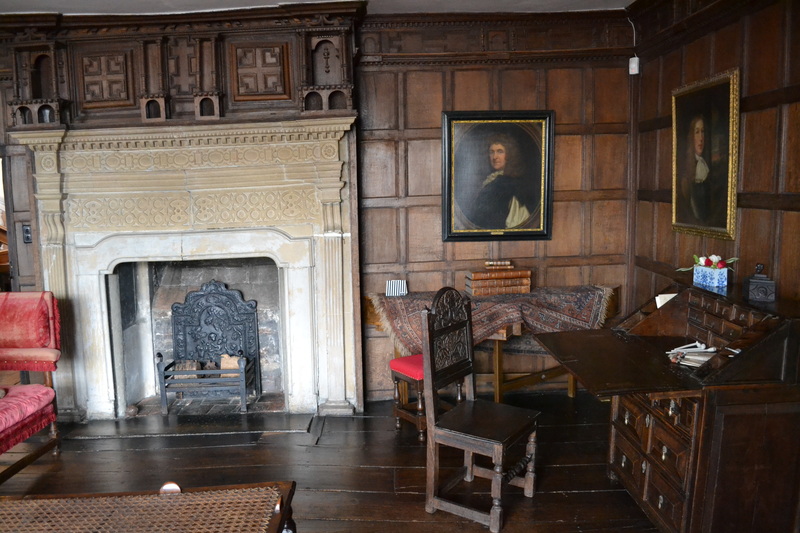 Here in the Panelled Chamber, the fireplace (shown above) is made from limestone. 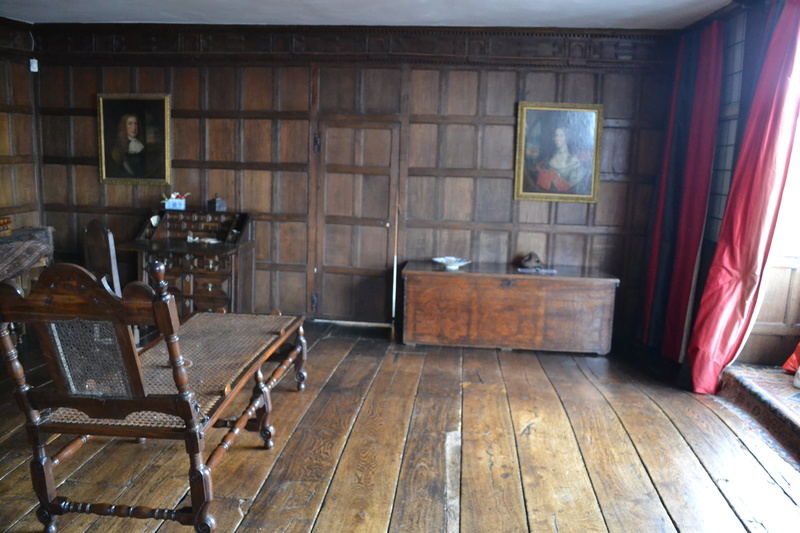 The sofa on the left is a Knole sofa – again, from the seventeenth century, and in remarkably good condition. 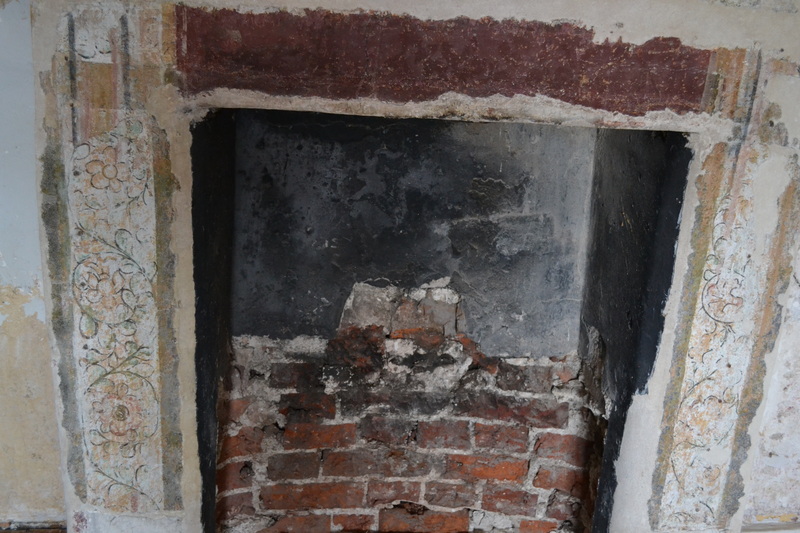 The fireback in the fireplace was beautiful too. You can probably see the bump on the wooden floor in the following photo. 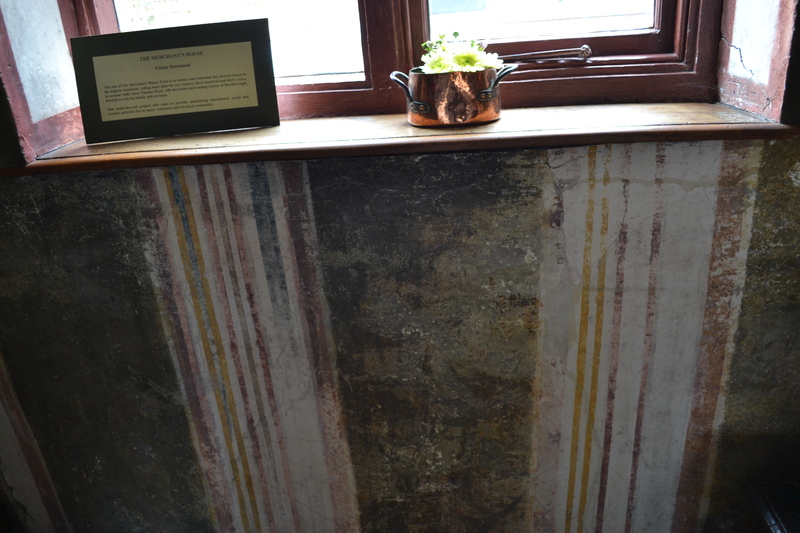 This is from the floor settling over time over a wall under that bump. Among the various paraphernalia on the desk, you’ll see clay pipes – smoking tobacco was quite fashionable. In many excavations of the foreshore of the River Thames during low tide often brings up a few of these pipes. 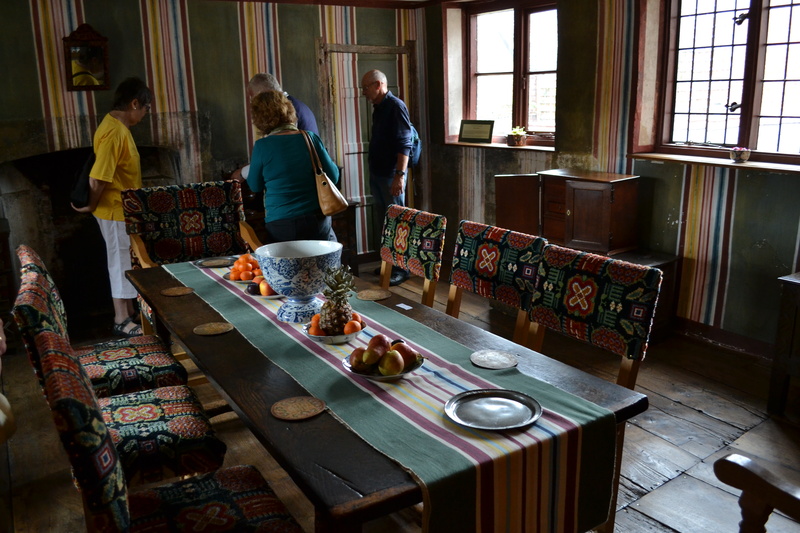 There are several Turkey-work chairs, most of which have been reupholstered in seventeenth-century style (and using authentic dyes) by a hard-working team of volunteers. 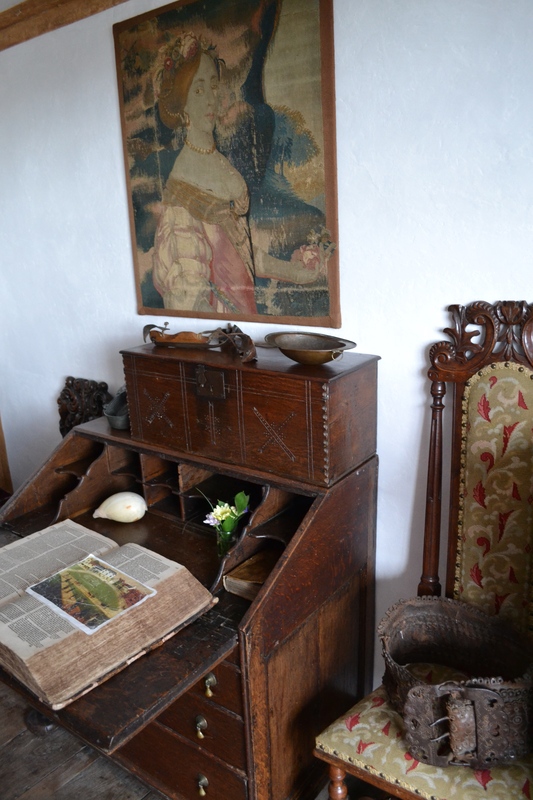 According to the Merchant’s House guide book, one chair can take up to twelve months to upholster! Before night come to Marlborough, and lay at the Hart; a good house, and a pretty fair town for a street or two; and what is most singular is their houses on one side having their penthouses supported with pillars, which makes it a good walk. 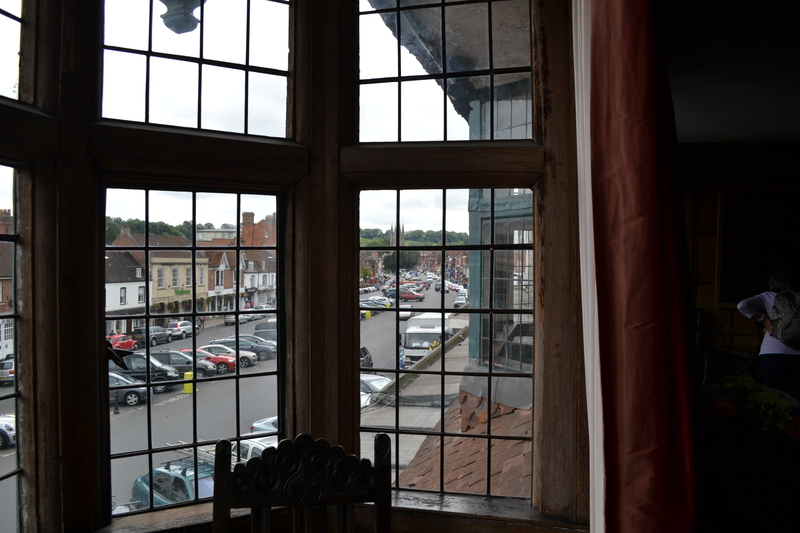 Here’s the first bay window on the left, looking out onto the High Street again. 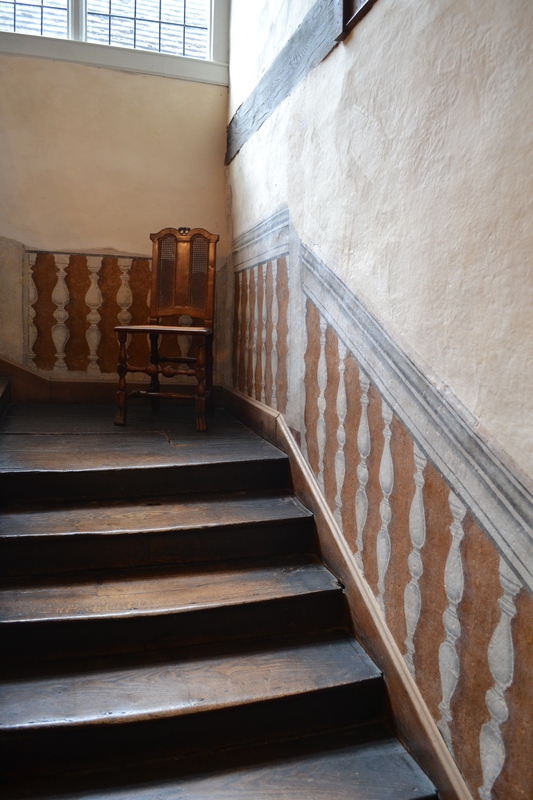 The great staircase below dates back to the 1670s. 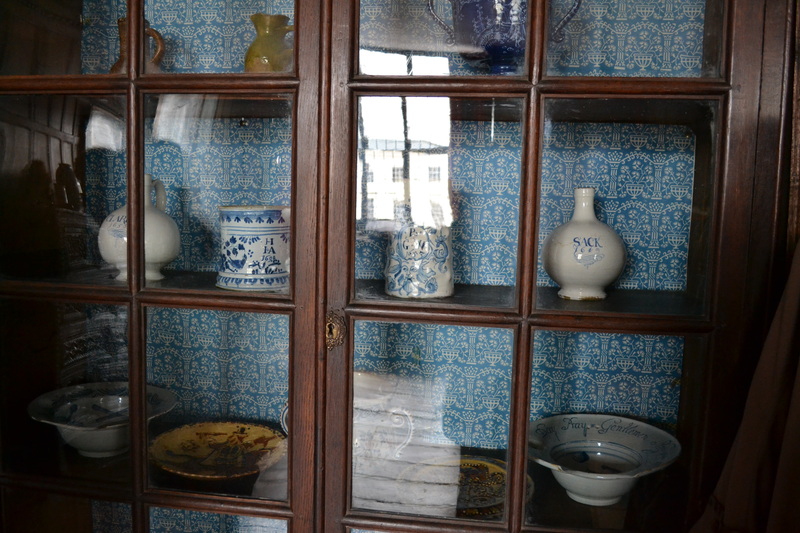 The room below is called “Mr Bayly’s Study” and the museum has added an array of ‘curiosities’ – which were popular during the Stuart period. 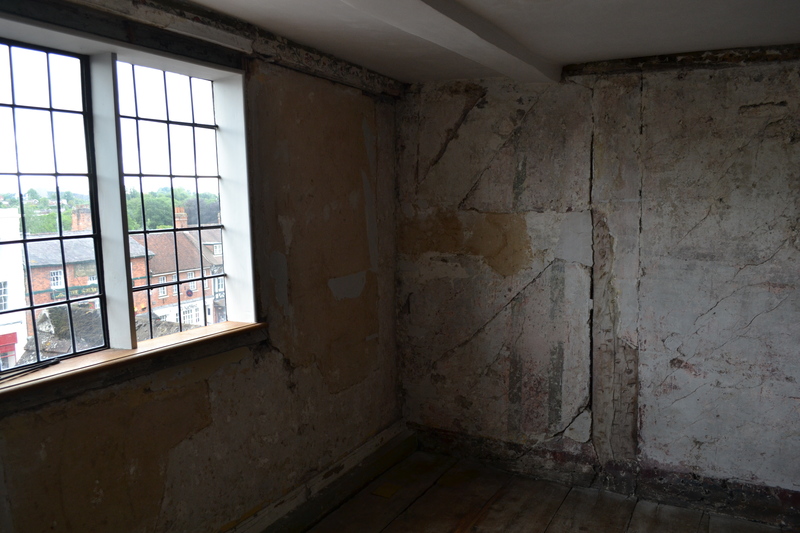 The following room is in need of work (if I remember correctly, this was until recently a rented flat) and already the paintwork is hinting at what it might have looked like. 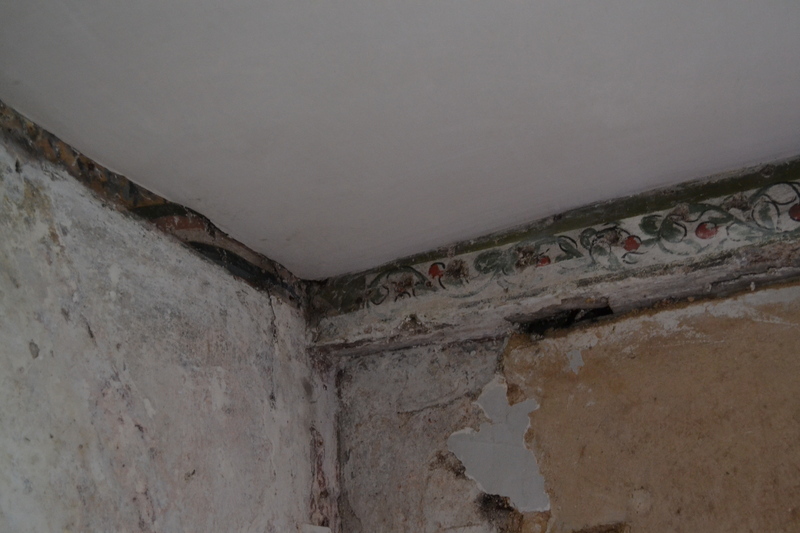 There is a sort of cherry motif going on in the border around the room. 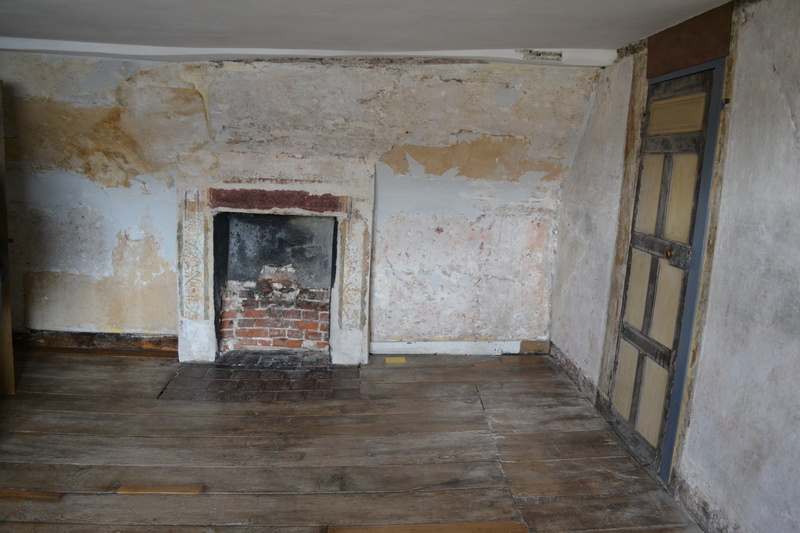 Once restored, like other parts of the house, I’m sure it will be most delightful. I had a bit of an argument with a woman on the tour who insisted that the warming pan was a bed pan for one’s bodily functions. 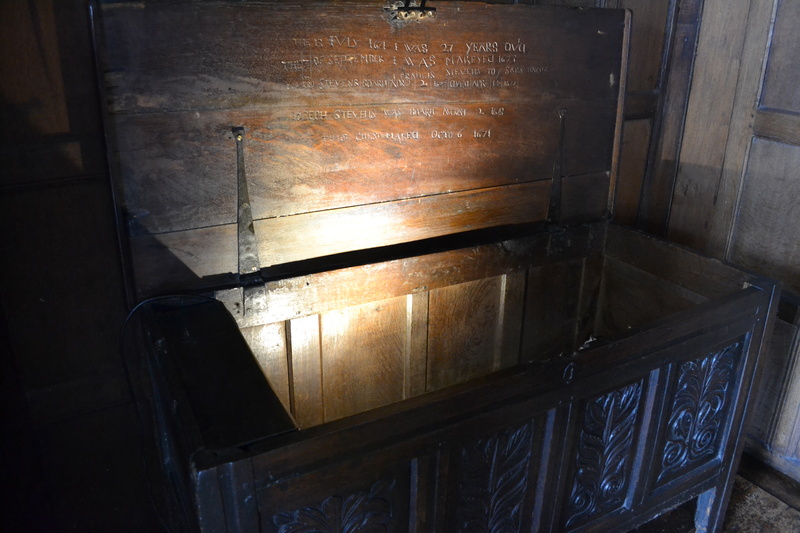 People used chamber pots at this time, and warming pans had a long handle connected to a brass holder in which hot coals would be placed. This was then placed on a bed on those horribly cold nights to make getting into bed a comforting, rather than joltingly cold, experience. Next, we stepped down into the kitchen. 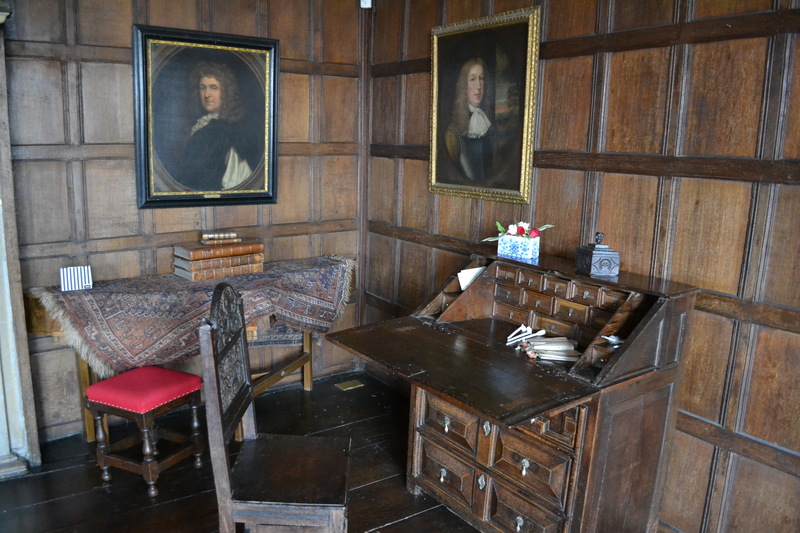 This important room had several items from the 17th century, including a cookery book which was on the table – a modern replica which was crafted by a local volunteer using Sycamore wood. 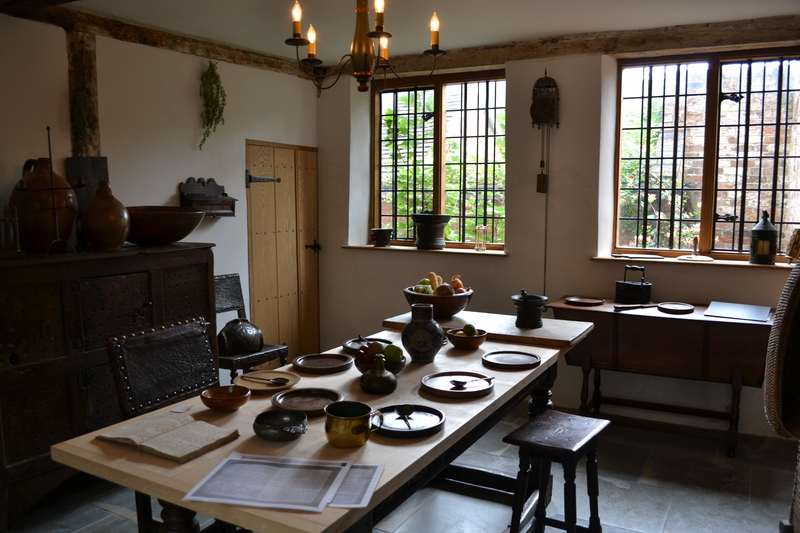 Below is the Kitchen Chamber – which is situated above the kitchen – and so this would be the warmest chamber in the house. The first thing I noticed when I walked into the next room was this pattern on the wall. 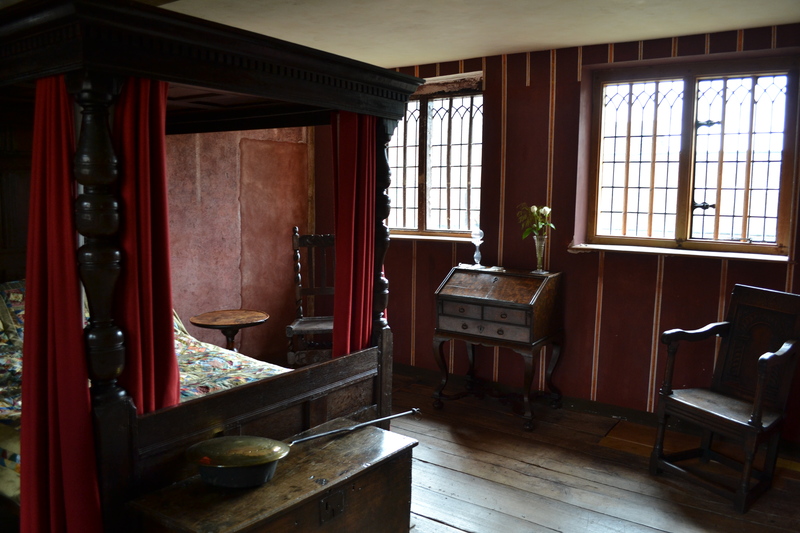 Keep this in mind and you’ll see images of the rest of the room – reconstructed to look like what it would have been in the 17th century. 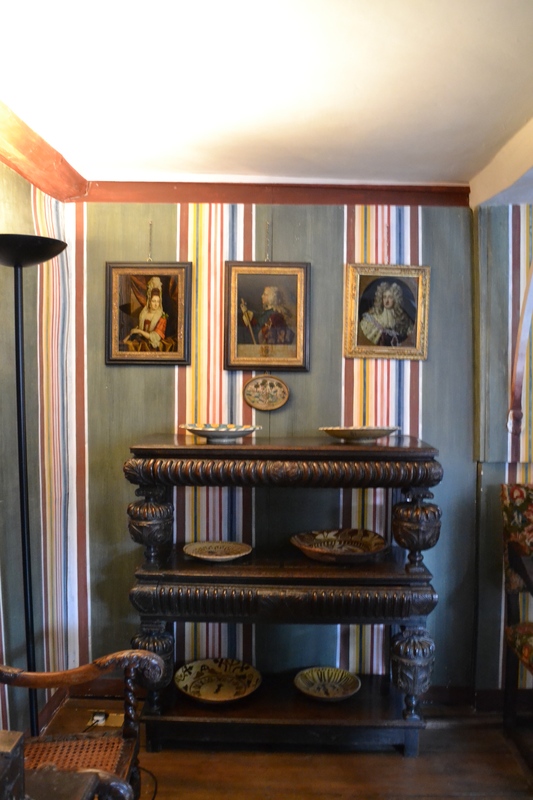 The walls are very striking in this room – and I’d never seen anything like it before. 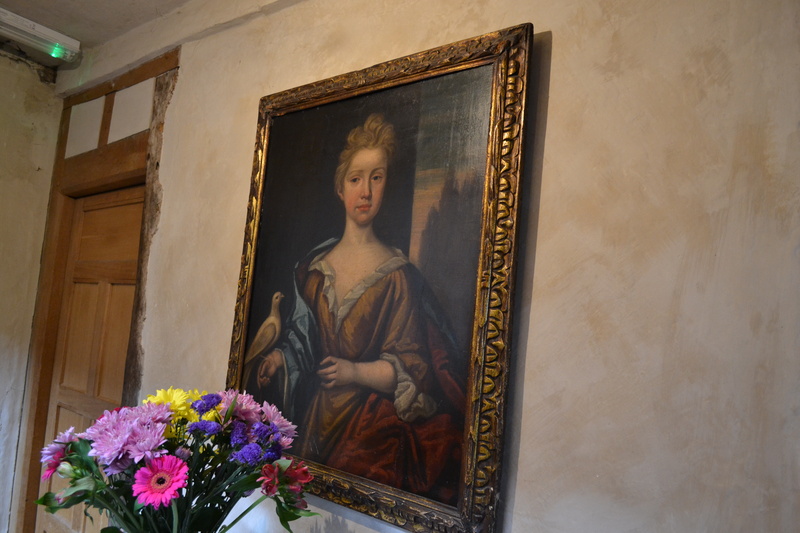 The lady of the house had quite an interesting taste in wall decoration. The table is made from sycamore wood – just like the one in the kitchen. 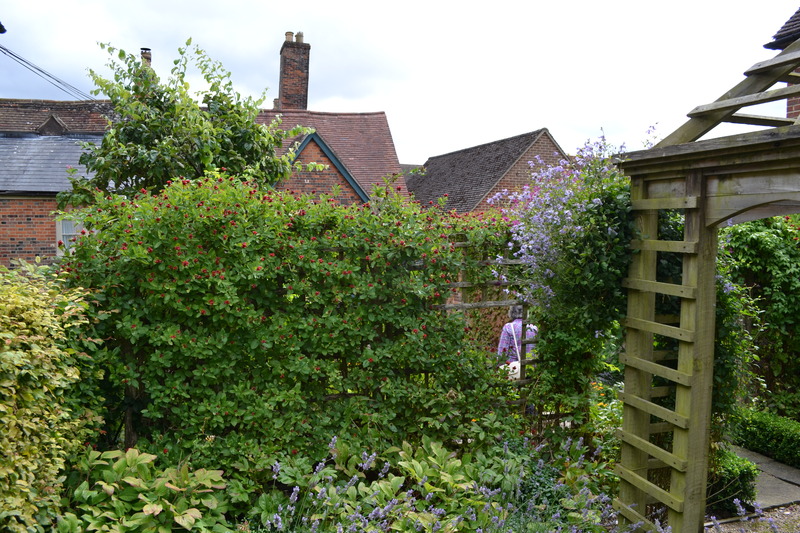 After this room, we ventured out into the backyard where the beautiful, fragrant garden is located. I really enjoyed walking through the gardens behind the house. 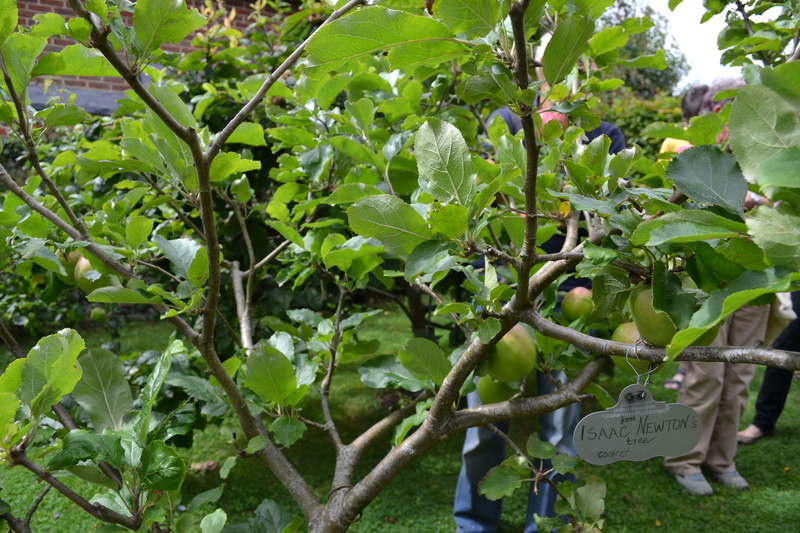 It smelled and looked amazing – there was the scent of lavender and apples, along with the various herbs typically found in a seventeenth-century garden. 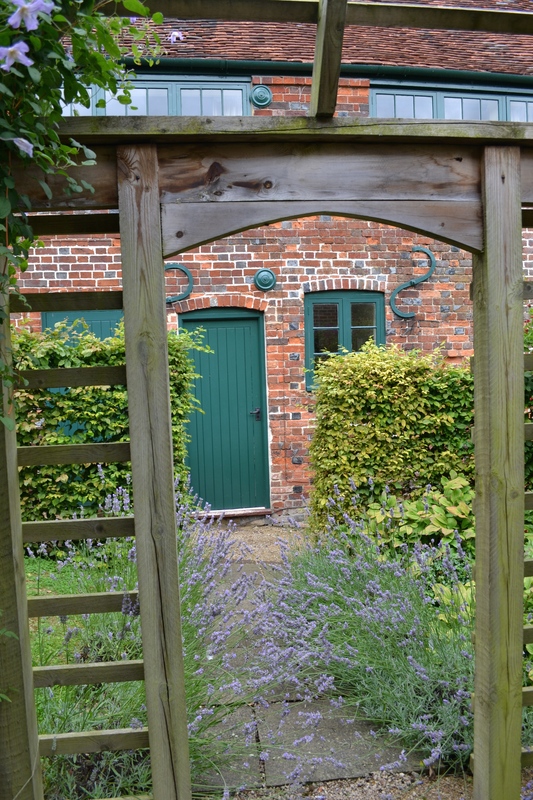 The photo above is facing the house from the middle of the garden. 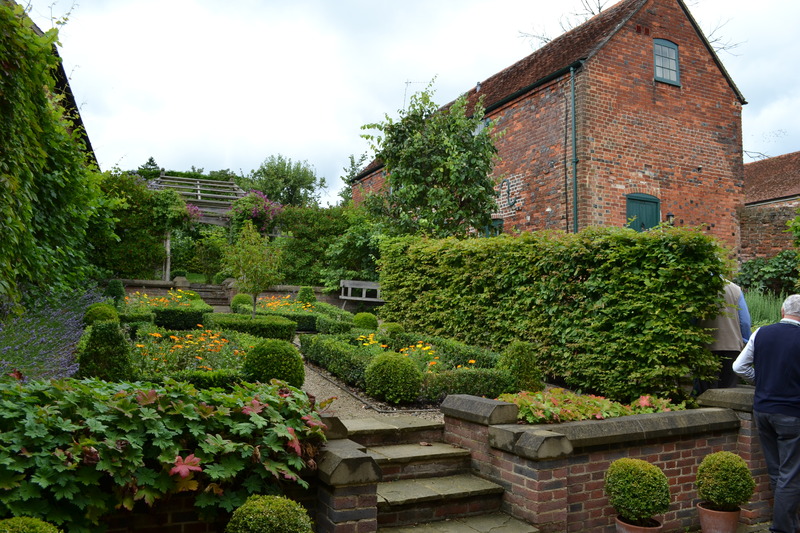 You can see the use of box hedging – which was so popular in Baroque garden design. 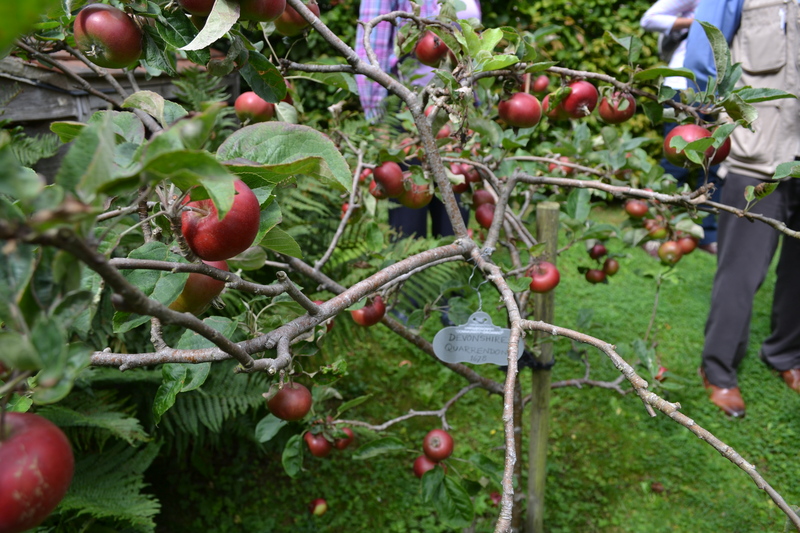 As you can see from the photos above, the whole place is delightful and I thought the gardens were the perfect final touch to the visit. 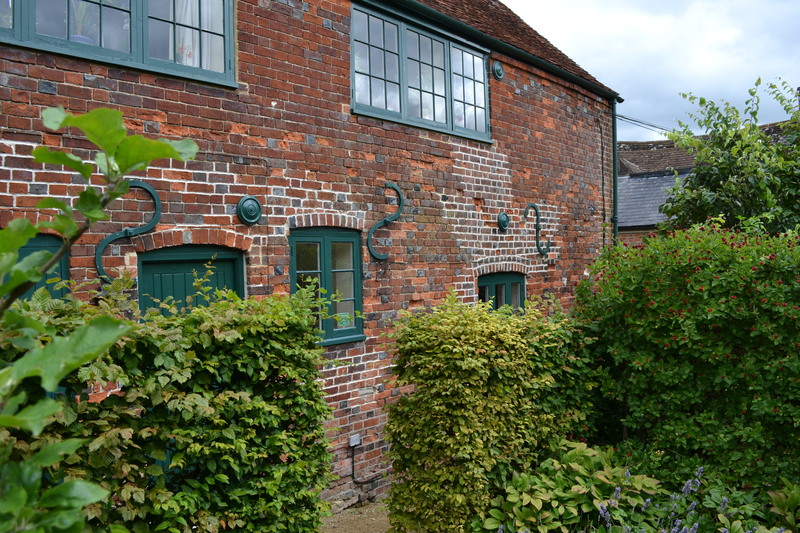 In short, The Merchant’s House is utterly delightful and well worth a trip to the charming town of Marlborough. 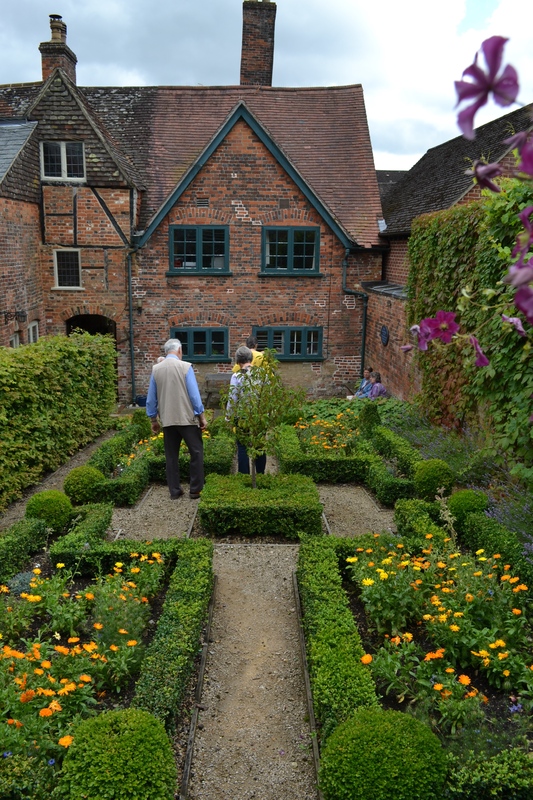 For more information about The Merchant’s House, please visit their website, follow them on Twitter, and like their Facebook page. It sounds fascinating. Such a shame the pictures aren’t visible. I absolutely LOVE this house! 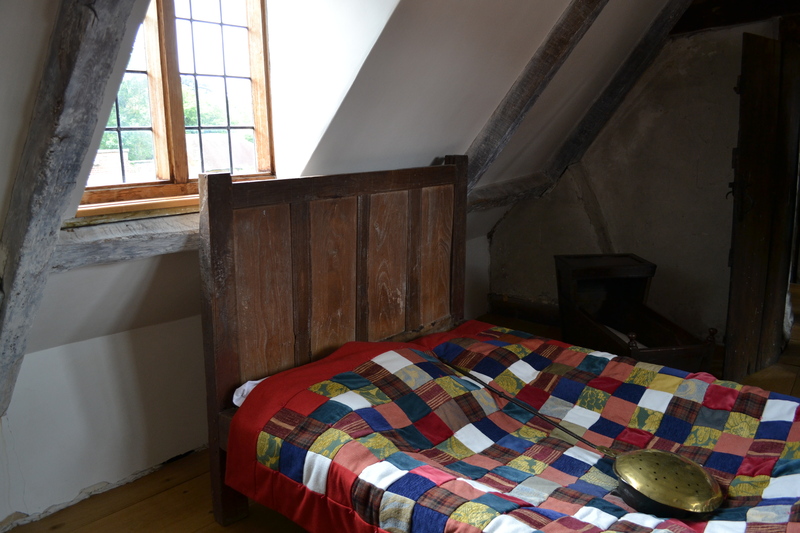 A question though re: the bed and warming pan photo: if the house is furnished in a late 17th century style, what’s with the patchwork quilt on the bed? Little is known about patchwork quilts made before the 18th century. One of the earliest known dated patchworks is a 1718 silk patchwork coverlet, made some 40 years after the style of furnishings shown in this home. You have a good eye! I think there were some things there that were made by local volunteers. Honestly, you brought up a good point – something I had to look up. I found this website http://www.quilthistory.com/quilting.htm , which states that quilts go back to the 12th century in Europe, and that “The true heyday of European quilting came in the late 17th and early 18th centuries, when quilted petticoats, waistcoats, bed linens, caps, and even doll clothing (Noble) became wildly popular among the upper and middle classes.” Definitely something I’ll need to learn more about. Cheers!